Security personnel deployed at various locations within the Western Highlands Provincial Health Authority (WHPHA) premises will now be able to communicate well with each other and discuss issues affecting their operations. This follows the purchase of 10 new hand held two-way radios for the security guards to use to contact each other on operational issues and for the security manager to monitor and ensure they are at their assigned posts. The security section took delivery of the radios recently together with a base radio which has been installed in its operational office at Mt Hagen Hospital. Security Manager, Major (Ret) Bill Nende said the WHPHA had a big area with more expansion work taking place and two-way radios were needed to communicate with guards posted at the various locations. Chief Executive Officer, Mr David Vorst officially launched the introduction and use of the new radios during a brief ceremony at the hospital on Tuesday, 22nd January 2019. 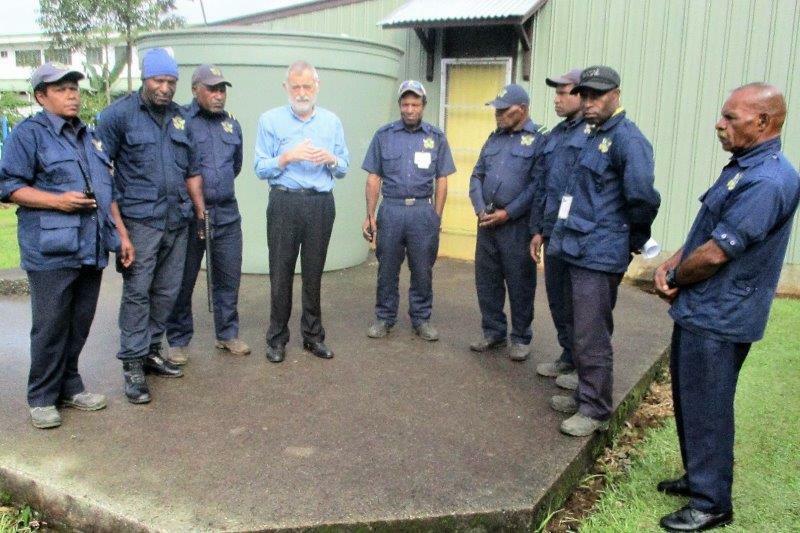 He said with the planned redevelopment of Mt Hagen Hospital, better and effective communication was necessary and as such the management had made a decision to purchase these radios for the security guards. Mr Vorst said as the launching was taking place, a team from the World Bank was also present on site to see the hospital infrastructure and discuss funding arrangements for the redevelopment program. He said with such expansion, improved communication and additional manpower and radios was necessary but these would be looked at in the near future. 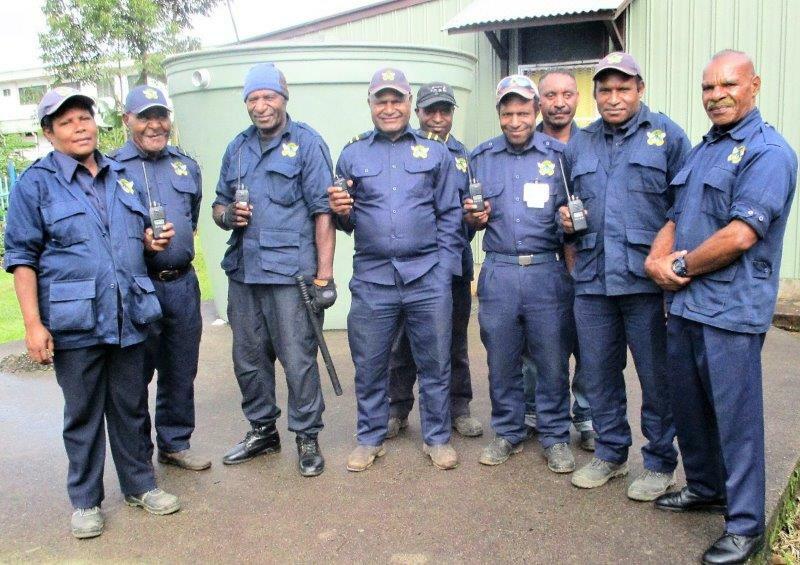 The 10 hand-held radios and the base radio were purchased from TE (PNG) Ltd in Lae at a total cost of K30,000 and another K30,000 was paid to a service provider in Mt Hagen to install the base radio and set up the right frequency for the radios to be used. Some of the security guards displaying the new radios. Chief Executive Officer, Mr. David Vorst officially launching the two-way radios, witnessed by a few security guards.